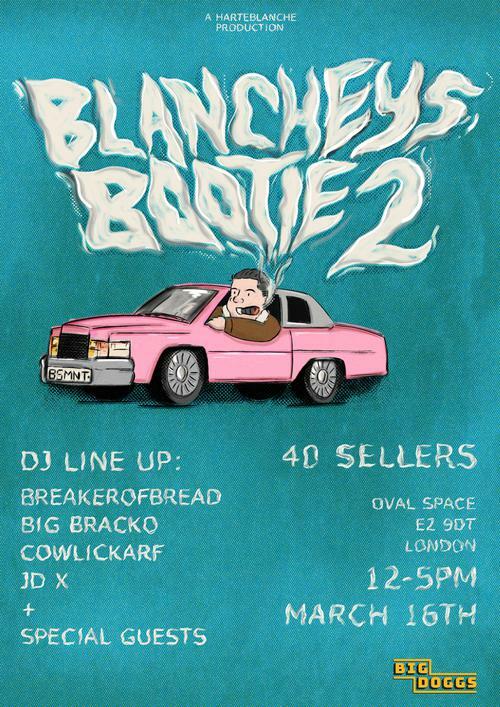 Blancheys Bootie returns to Oval space on the 16th of March. A Streetwear Carboot featuring some of London's best vintage sellers and brands. Dukes Cupboard, Catalogue London, Bare Vintage, Lounge, Crowd London, Corteiz, JamieB, Light Work London, Bad Boys Book Club, 1036 Emporium, Vented and Spectators Club. Proper American Hot Dogs all day courtesy of Big Doggs. Sponsored by HarteBlanche Sanitation LTD.